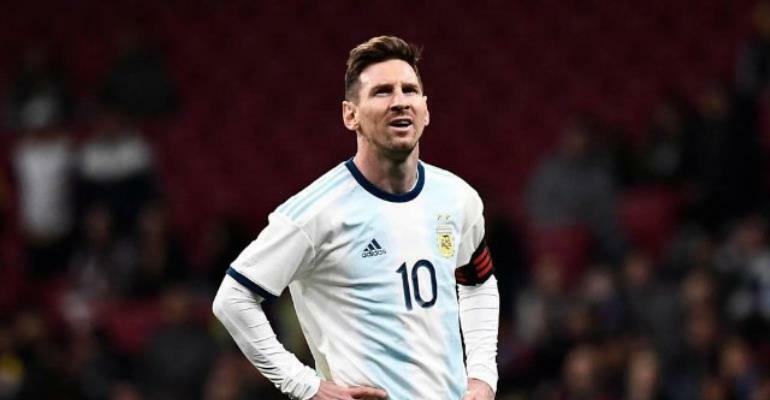 Argentina’s Lionel Messi returned to international duty for the first time since the World Cup on Friday but it was a disappointing night for the forward as his side lost 3-1 to Venezuela in a friendly match in Madrid. Messi showed flashes of brilliance but it was not his night as Venezuela put three past their more illustrious rivals for the first time with goals from Salomon Rondon, Jhon Murillo and Josef Martinez. Lautaro Martinez got Argentina’s consolation. Messi took a sabbatical after his country’s early departure from last year’s finals in Russia but he returned with a clean-shaven new look to captain the side in the all-South American affair at Atletico Madrid’s Metropolitano stadium. Venezuela had only beaten Argentina once in 23 previous encounters, but they got the perfect start after five minutes when Rondon brought down a long pass inside the box and crashed a shot past keeper Franco Armani. Rondon should have made it two with a header in the 40th but the second goal was only moments away as Murillo took advantage of a quick free-kick to scamper to the edge of the box and curl a lovely right-foot shot into the far corner of the net. Lautaro Martinez finished off a superb counter-attack to pull Argentina back into the game after 59 minutes but their hopes were short-lived and Venezuela’s Josef Martinez made it 3-1 from the penalty spot with a quarter of an hour remaining. Argentina face Morocco in Tangier on Tuesday, while Venezuela’s next face Catalonia in Girona on Monday.